Members of MAGNUM’s classic-era line ups plus other top drawer rock alumni unite to perform Classic Magnum songs from the celebrated 1978-94 period. One of the UK’s finest exponents of melodic rock music, Magnum achieved high album and singles chart positions in both the UK and Europe, gaining a reputation as one of the hardest-working bands, delighting audiences with concerts that were always captivating both musically and visually. Highlights of the band’s career include regular sold-out theatre tours including a memorable five nights at London’s legendary Hammersmith Odeon performed during 1988 together with headlining Birmingham NEC and Wembley Arena, as well as appearances at major festivals. 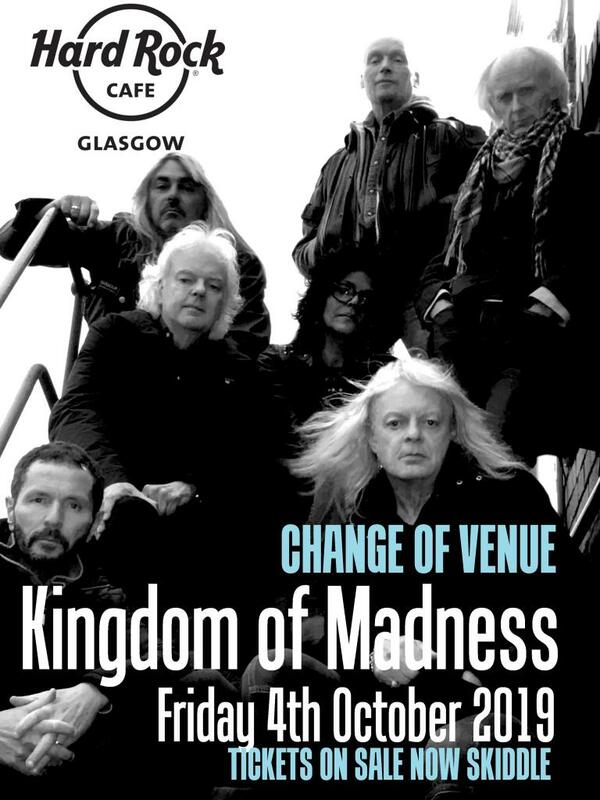 Mark Stanway (keyboards), Micky Barker (drums), Richard Bailey (keyboards/flute), Laurence Archer (guitar) and Mo Birch (backing vocals/percussion), all of whom have previously performed with Magnum, together with bassist Neil Murray (ex-Whitesnake) and vocalist Chris Ousey (Snakecharmer/Heartland) will perform music from the celebrated 1978-94 era of Magnum. song with what I can bring to the table as a singer”. This union of former members of one the UK’s best loved bands plus other top-drawer classic rock alumni to perform music that has touched the hearts of several generations of music fans, promises to be one of the true highlights of this year’s rock calendar.